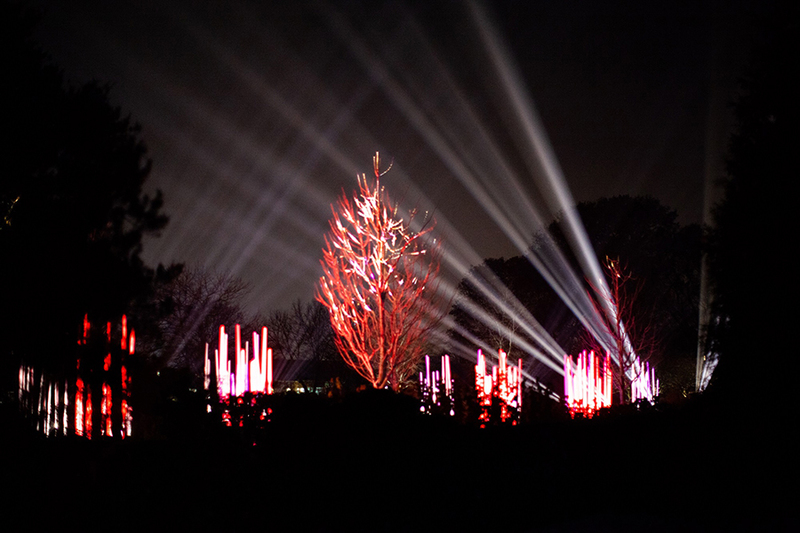 Design group Lightswitch has worked with The Morton Arboretum in Lisle, Illinois, the past six years to direct and design Illumination: Tree Lights, the public garden’s popular wintertime walk in the woods with its dramatic lighting and color-changing illumination. This year, Lightswitch designers explored new layouts and designs in order to keep the one-of-a-kind encounter with nature evolving and deliver an even more immersive and engaging experience. Elation Professional luminaires continued to form the foundation of the lighting scheme with nearly 600 fixtures used on this year’s project including IP65 Proteus Beam™ and Proteus Hybrid™ moving head effects, Arena Q7 Zoom™ PAR wash lights and large numbers of weatherproof Level Q7 IP™ RGBW PAR lights. 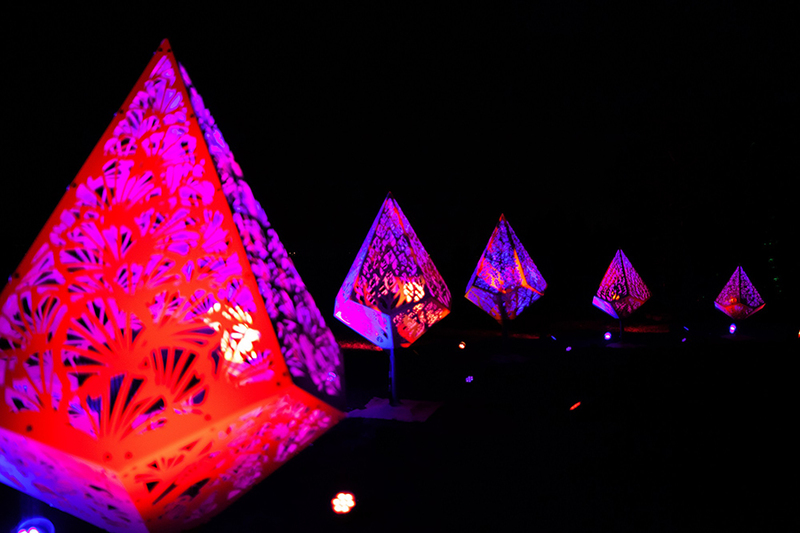 Serving as both creative directors and visual designers, the Lightswitch team created an all-new route through new experiences for this year’s Illumination, which ran November 3 to January 9. The long running, cold weather project proves an ideal environment for the multi-environmental Proteus series, which featured on several designs including the new Crown of Light by renowned artist collective HYBYCOZO, as well as Fantasy Forest, Symphony Woods and others. Having used the Proteus Beam on Illumination the last two years, this year the Proteus Hybrid with its gobo package and zoom capability joined the stable. “We’ve been enjoying the weather resilience and brightness of the Proteus Beam for the last couple of years,” Lightswitch Principal John Featherstone commented. “Certainly when you’re lighting the arbor trees the ability to shape the beam to fit the size of the object you are lighting is important and the gobo capability of the Proteus Hybrids opened up all sorts of new creative potential as well. It enabled us to move away from clusters of traditional indoor entertainment based fixtures in domes, which have a number of challenges for us. The domes themselves soak up a certain amount of light; they tend to get scuffed up as they get moved around so they take some of the thrust and diffuse the beam a bit.” Featherstone adds that the eye also tends to get drawn to the surface of the domes, distracting slightly from the visual experience. This year’s Illumination: Tree Lights was extremely well attended and with six years of success behind it has solidly moved from curious novelty to wintertime tradition.